Barry Nace, founding partner at Paulson & Nace, PLLC, spoke at the National Board of Trial Advocacy (NBTA) November 2018 All Star Conference. 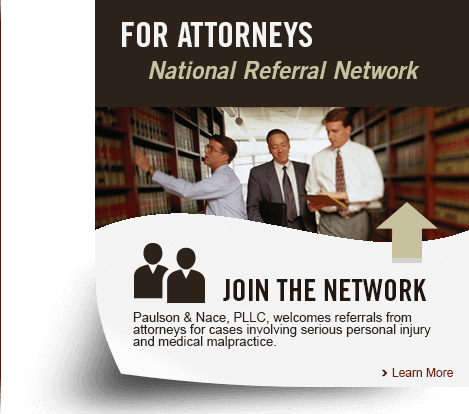 NBTA is an organization operating under the auspices of the American Bar Association with authority to grant Board Certification in various legal areas. An attorney must pass a rigorous test, receive support from opposing counsel and judges, and have extensive experience in the field. Mr. Nace spoke about the Federal Tort Claims process (from filing a claim through trial), including the steps from intake to filing; persuading experts; and claims with multiple parties. He also spoke about health clinics that may be subject to the Act because it receives federal funding. 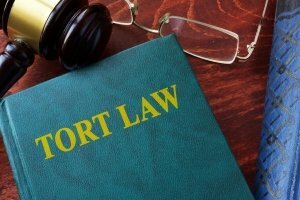 What is the Federal Tort Claims Act? The FTCA is a federal law under which a plaintiff is permitted to sue the federal government for damages in a personal injury or property claim. There is a common law concept, called “sovereign immunity,” which says that a private citizen is not allowed to sue the government without express permission. The FTCA is that permission. However, it is also a complicated law with several rules which must be followed, in order for private citizens to pursue a lawsuit against a government and its employee. Getting hit in a car crash by an FBI agent pursuing a suspect. Slip and fall injury in a post office or other federal building. Medical negligence committed by an employee such as a physician or midwife employed by a federally funded clinic. The intention of the FTCA is to provide compensation for a person’s injury, property damage, or a wrongful death which was caused by the negligent or wrongful conduct of an employee of the federal government. The negligent or wrongful act must have been committed within the scope of that employee’s employment. An FTCA claim is based on negligence claims based on the law of the state where the incident occurred. Health center employees who work in centers that receive federal funding such as a health care clinic under section 224 of the Public Health Service Act (PHS) as amended by the Federally supported health Centers Assistance Act of 1992 and 1995 are also covered by the Act.